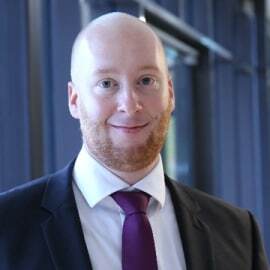 Carsten Jung is a Project Manager at the FS-UNEP Collaborating Centre for Climate & Sustainable Energy Finance. Carsten focuses on providing climate and sustainable energy finance advice to international agencies, financiers, governments and the private sector. Carsten has extensive experience in Africa’s on- and off-grid energy markets, policy and financing through long-term on the ground working experience in East-and Southern Africa. Carsten has worked closely with private sector companies and financiers to access climate finance as well as to provide investment advice. Carsten has also worked with international agencies and Governments to design and implement policies as well as technical and financial support mechanisms that address barriers to private investment in the energy sector. At the FS-UNEP Centre, Carsten has been focusing on the assessment of off-grid markets in Sub-Saharan Africa to inform the design of potential public support mechanisms and has provided investment due diligence services in regard to client protection principles for the off-grid solar sector. Before joining the FS-UNEP Centre in 2017, Carsten worked for 6 years for Carbon Africa Limited, a climate and sustainable energy finance advisory firm where he was based in Nairobi, Kenya and Addis Ababa, Ethiopia. Carsten holds a MBA from the Beuth University of Applied Sciences in Berlin with a particular focus on renewable energy and energy efficiency as well as a B.Sc. in Energy Management from the University of Applied Sciences in Darmstadt.